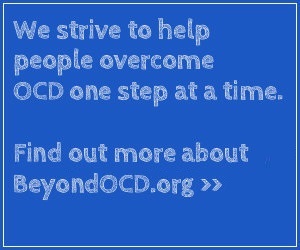 Identifying the symptoms of OCD can be the first step in getting effective treatment and relief from OCD. The OCD Self-Screening Test can give you insights into your thoughts and behaviors, but you should keep in mind that only a qualified mental health professional can conduct an appropriate evaluation and make an accurate diagnosis. This OCD Self-Screening Test is the online version of the Florida Obsessive Compulsive Inventory (FOCI) and is designed to help identify some of the common symptoms of OCD. Please remember that a high score on the questionnaire does not necessarily mean you have OCD. The test is completely confidential. Your responses will not be recorded by Beyond OCD . The FOCI is a personal tool provided for your use only.